Imagine a hazy, tortured Death Cab for Cutie record – let’s say for the sake of example, Transatlanticism – put through a meat grinder and subsequently strewn throughout a rainforest somewhere along the Amazon River. That is, in a nutshell, what Bad Vibes sounds like; or more appropriately, what it feels like. 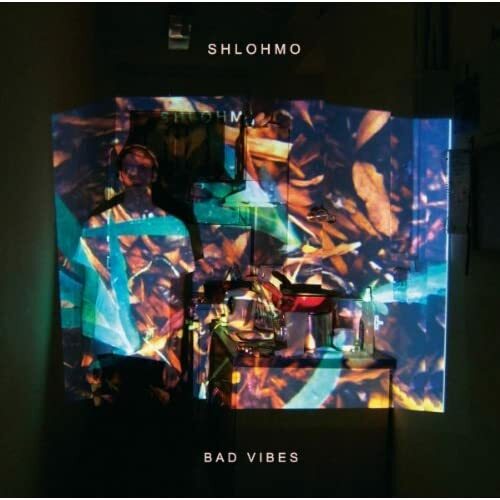 Bad Vibes is the sophomore full-length release from LA-based producer and artist, Shlohmo, and though baring undeniable likeness to his 2010 Debut entitled, Shlohmoshun Delux, this release takes on an entirely new atmosphere. Considerably darker and drearier in tone than previous works, Bad Vibes seems to stay away from the overly complex hip-hop rhythms he’s seemed to favor in the past. Instead, Shlohmo seems to prefer an omnipresent sub bass pulse that warps the emanating sonic wall into the nauseating ebb and flow commonly associated with seasickness. Another discrepancy between this work and those prior is the apparent shift from an industrial sonic pallet towards one drenched in the sounds of nature. Album opener, “Big Feelings” is a semiconscious walk through the jungle with bird-calls and rainy static wafting throughout the track. Shortly afterwards on “It Was Whatever,” the birdcalls come back, though this time accompanied by primal, ethereal howls and percussion that sounds strangely organic. If you’re reading this and growing disheartened because you’ve lost the industrial rhythmic mastermind incarnate as the original Shlohmo you will find solace in tracks such as “Just Us” and “Trapped In A Burning House” which seem to pay homage to his earlier releases by way of grinding sythn beds and considerably more prominent percussive elements. However, I for one am truly enjoying the new sounds. Shlohmo is a field-recording fanatic and it seems only fitting that the sounds of our natural world find their way into a genre that’s been almost exclusively made up of cheap synth loops and poorly constructed percussion sequences. This album offers a new side to a still-green producer and more importantly pushes the boundaries of an entire genre into new and exciting territory. Who knows, maybe there’s hope for electronic music after all.